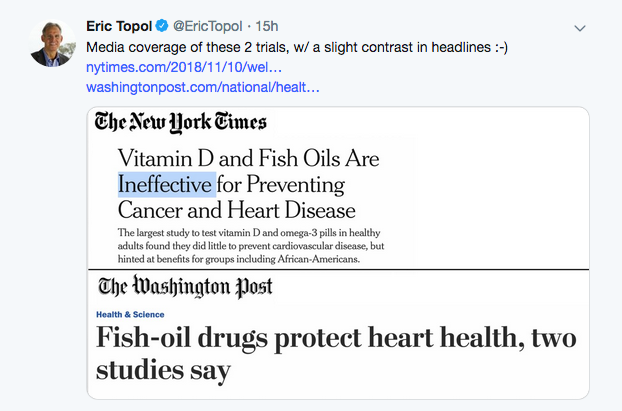 Results of a much-anticipated trial on fish oil and vitamin D generated conflicting headlines recently. Some stories declared good news about the popular supplements. But others reported the opposite: fish oil and vitamin D actually don’t protect against those major diseases. 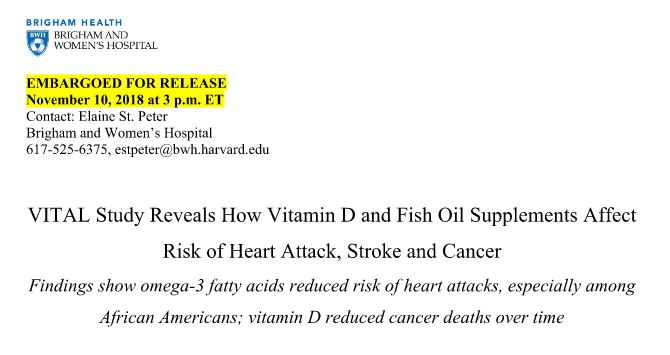 The subhead says omega-3 “reduced heart attacks” and that vitamin D “reduced cancer deaths” — similar to misleading causal language that appeared in some news stories. Such context was missing in the stories from Reuters, the Post, and HealthDay. Mary Chris Jaklevic is a reporter-editor, HealthNewsReview.org, and can be reached on Twitter @mcjaklevic. Benzodiazepine addiction is real. This physician shares his story.